Opening wine & cheese reception Friday April 26, 5-7 pm. Opening reception Friday April 12, 5-7 pm. Once upon a time.....not so long ago, Cheryl put a mattress in the back of her car and decided it was time to remember how awesome this country is. In this body of work, she shares with us her unique relationship to some of the landscapes she was inspired by on her travels. Drawing on her experience as a massage therapist and illustrator, Cheryl allows herself to get carried away by the language of shape and form, and celebrates the profound connection between our environment and ourselves. Salt Spring Gallery Artists exhibit favourite artwork from the past. 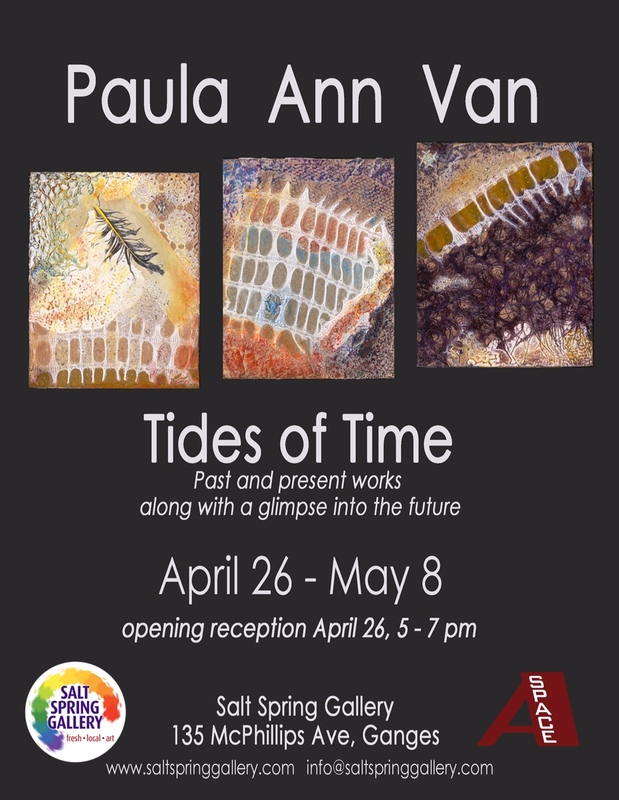 This Friday, March 29, Salt Spring Gallery will be opening another exciting art show with a twist. Titled ‘Resurgence’ this pop up show and sale features favourite artwork from the past by the present ten gallery members. With the usual push in the art world to be always showing new work, some art gets put into storage before many people have had a chance to see it. For artists this results in an overabundance of art filling the corners of their studio work space. Hidden in those stacks of paintings are treasures to be found. Salt Spring Gallery artist Susan Haigh has just such a studio. Some artists have been known to burn their excess paintings to make space for new work but Haigh finds this option a difficult one to embrace. Each of her paintings is a celebration of the beauty found in nature. Her works are like portraits, showing a flower or scene in its natural perfection. When people buy the paintings it is usually because they have fallen in love with the colour, form or serenity of the image. For Resurgence she is choosing to show some favourite paintings done before 2005 which she is offering at retro prices. She is keen for the paintings to find homes where they can bring cheer year round instead of hiding in the dark. Over time most of the Salt Spring Gallery artists have experimented with different media and styles. Lisa Lipsett and Cinda Helm are both choosing to show early paintings on paper. Helm’s are watercolours, Lipsett’s are ink, acrylic and water media. Lipsett’s work has morphed into elemental images in oil and cold wax while Helm has moved on to oils to create her Coffee Girls series. Allison Brodie who is always exploring new art forms is showing three florals, in acrylic, water colour and one in ink. Carol Newmeyer has experimented with acrylic pours as a sideline to her beadwork. Kuno Egger is a hard task master and has been known to break his ceramics if he feels they are not worthy so he doesn’t suffer from the overstuffed studio syndrome. If the pots are not up to his high standard no one is going to have them. Nevertheless he has managed to find three or four pieces to put in the show. The work of long time island artists Sheila Hoen, Ilse Leader, Paul Robert Bryans and Rachel Vadeboncoeur will round out the show. Resurgence will be full of surprises and could also be an opportunity to find a beautiful piece of art by your favourite Salt Spring Gallery artist at a reduced price. The Resurgence Pop Up Show and Sale runs March 29 – April 10 with an opening reception March 29, 5 –7 pm at the Salt Spring Gallery at 135 McPhillips Ave, downtown Ganges. 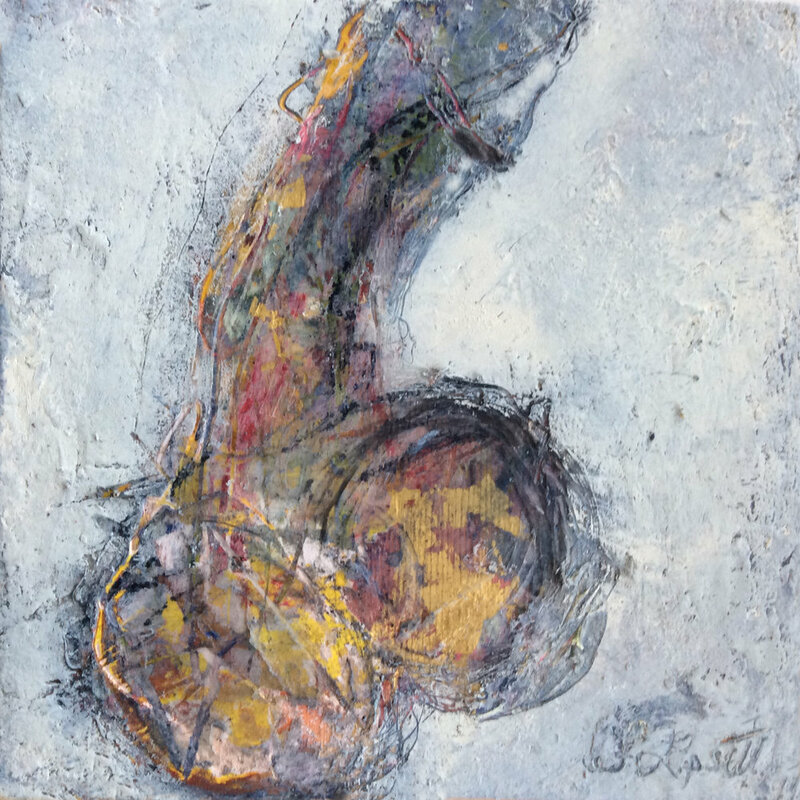 EROTICA is a sensuous art show about love, sexuality, pleasure & the body. Show runs to Mar 12. Friday Nov 16, 5-7 pm. Ink+Skin+The Rock is a collaborative photographic project in which my abiding interest in mark making on the living canvas, intersects with personal story. 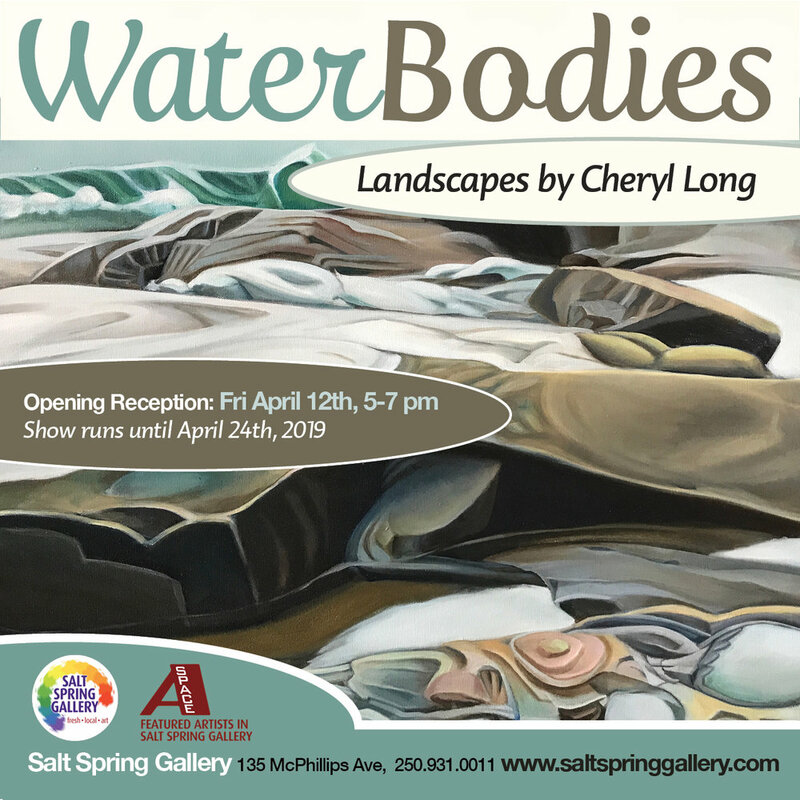 It is a joint exploration of personal identity, with particular emphasis on our deep identification with this special place, Salt Spring Island. What lies beneath the decision to immortalize Salt Spring Island on one’s skin, it’s outline, it’s initials, it’s name, it’s topographical features, it’s nicknames?